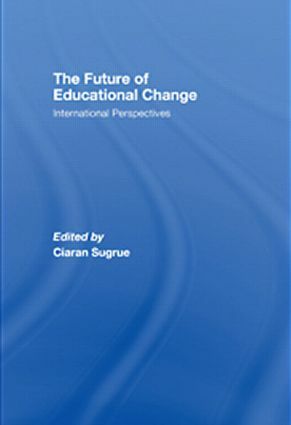 This timely book provides a systematic overview and critique of contemporary approaches to educational change from some of the best-known writers and scholars in the field, including Andy Hargreaves, Larry Cuban, Ivor Goodson, Jeannie Oakes, Milbrey McLaughlin, Judyth Sachs and Ann Liebermann. What has been the impact of educational change? How has the impact differed in different circumstances? What are the new directions for research on policy and practice? How can we link research, policy and practice? By highlighting critical lessons from the past, the book aims to set an agenda for policy-related research and the future trajectories of educational reforms, while also taking into account the dominant rhetorics of international ‘social movements’ and the ‘refracted’ nature of policy agenda at national and local levels. This book addresses issues which with many educators around the world are currently grappling. It will appeal to academics and researchers in the field, as well as providing an introduction to key issues and themes in Educational Change for graduates and practitioners. PART I Educational change: for better or for worse? The plate tectonics of educational change in Ireland: Consequences for research quality, policy and practice? PART III Educational change: ﬁ nding new directions? Improving city schools: Who and what makes the difference? How do teachers learn to lead?